Rugged IoT and Can You Spot the Difference? Are you ready for a challenge? 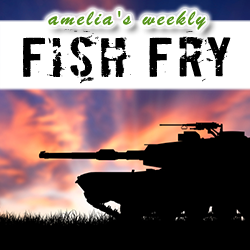 In this week’s Fish Fry, Greg Roberts introduces us to EMA’s Can You Spot the Difference Contest? where you can win a Raspberry Pi 3 by pitting yourself against OrCAD 17.2 in comparing different schematics. Also this week, Matthias Huber (ADLINK) joins Fish Fry to discuss the challenges of designing rugged IoT systems.